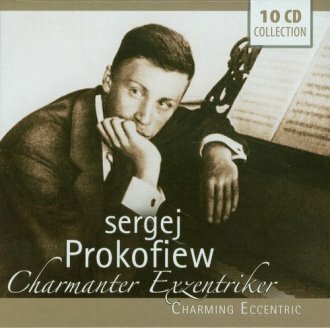 Sergei Prokofiev, one of musics most outstanding personalities, was also one of the most discussed composers of his day. This compilation not only includes Prokofievs world famous Classical Symphony but also further recordings made between 1932 and 1996. It goes without saying that these precious compositions from the Russians oeuvre include one of the few masterpieces specifically written for children: Peter & The Wolf, recorded here with the Royal Philharmonic Orchestra; excerpts from the Romeo & Juliet Suites and the two Violin Sonatas op. 19 and op. 63 featuring David Oistrakh as soloist. The composer in person can be admired as a piano virtuoso - on a recording of his Piano Concerto No. 3 - and a whole series of pieces feature fellow pianists Friedrich Gulda, Sviatoslav Richter and Julius Katchen as soloists. This 10CD box also boasts such outstanding conductors as Ferenc Fricsay, Eugene Ormandy and Ernest Ansermet, to name but a few.